Anyone who’s ever rocked a child to sleep knows how hypnotising it can be – but I doubt that anything rocking has ever been as hypnotising as this! Check out the gorgeous (and mesmerising!) new Rocking Zebra from New Makers. It’s suitable for children aged two years and up, and it’s just a little bit cooler than a boring old horse. Probably best for tired parents to not stare too intently at it though – those stripes could send you off into a little afternoon reverie. 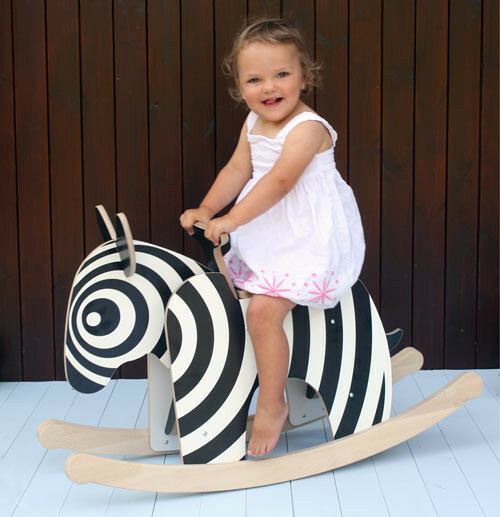 New Makers are UK-based, but their zebra comes flat-packed and is easily assembled. You can take it apart for convenience when moving or for storage, and the design is applied using a custom print laminate which is very hardwearing. You’ll need to contact them to find out about postage, but they make a point of mentioning on their site that because buyers from outside the UK are not required to pay sales tax, the cost including postage will be much cheaper than you might be expect. 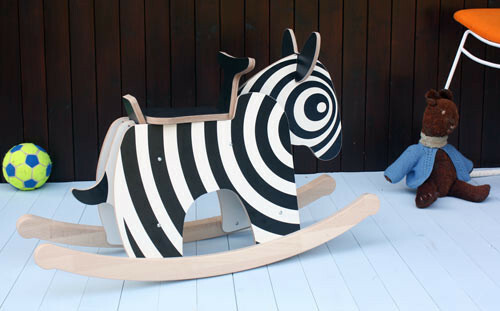 The Rocking Zebra retails at £132.50 (excluding VAT).